A culture of feedback is one that nurtures a healthy level of trust, self-awareness and continuous growth. Groups and teams where feedback is asked for and given with clarity and in grace will thrive together while supporting individual flourishing. The final piece of the picture addresses the posture of those receiving feedback. The first (and potentially most important) consideration when receiving feedback is to regulate our natural response to defend ourselves. In our words, our posture or our facial expressions (especially for those who, like me, have a particularly ‘loud’ face!) we can communicate a reactivity or negative response that will derail the effectiveness of the process and potentially cause that person to hesitate to give feedback in the future. Look for what is helpful (even if it’s delivered badly). Our tendency is to hone in on the points of feedback that are incorrect or communicated poorly. When a reviewer uses exaggeration (such as always or everyone), when they are aggressive or dismissive in their language and tone, or when they make comments that you know to be completely untrue we have a choice in how we respond. The most productive option will always be to find what is true and helpful in what they’ve said and allow that to teach us. There will always be fault to find in the delivery but your choice to overlook that for the purposes of the growth potentially contained in what is being shared will firstly, nurture that healthy feedback culture and secondly, lay a stronger foundation for addressing any changes you might suggest to their mode or method at a later time. Ask questions to be sure you’ve understood what the reviewer is meaning to convey. “When you say that the presentation was hard to follow are you referring to the structure of the notes, the order of the content or another aspect?” Don’t walk away with disclarity. It essentially means the feedback has been wasted. You don’t know what you can do differently in future (to course-correct or continue to improve) and the reviewer’s time has been without purpose. Even if the feedback has been difficult to receive, thank your reviewer for giving it. Thank them for the risk they’ve taken to share, for the time they’ve taken to articulate their perspective and for the part they’re playing in your ongoing development. Expressing appreciation will keep them on the journey with you. You don’t have to implement every bit of feedback you receive. Some of it can be readily discarded; some will need to be verified and validated by others. When you do take some feedback on board be sure to let the reviewer know that you are (eg “After your comments I’ve started doing that a different way.) and what the implications were (eg “My team have noticed a real difference”). This can be the most effective culture shaping step in the process. When individuals feel the benefit for themselves and when teams and organisations notice the impact collectively, there will be a natural drive to repeat the process. The culture of feedback becomes self-perpetuating once people recognise that, without it, they will be missing opportunities for greatest productivity, excellence, development and impact. So, it’s the time for New Year’s Resolutions. Do you make them? Even though I’m not much of a planner or long term goal setter, I am an eternal optimist and so have regularly looked at the start of the new year as a chance to make a fresh start, set a new plan or make some kind of change. Of course, over the years, there’s been the obligatory weight loss and fitness goals; the re-setting of spiritual disciplines like prayer; Bible reading and devotions; home renos and maintenance; and a random collections of hobbies attempted, romances hoped for and travel destinations dreamed of. But in more recent years I’ve shifted to reflecting on the past year and looking to the next one through the lens of a series of questions. How’s my walk with God? Each of our reflections on this would be unique to our personal relationship with God. For me, it looks like finding joy in Him and a growing awareness of His presence and guiding. Those things are evidenced in my sense of contentment and rest, and my fulfilment in participation in His kingdom work. And they are fueled by regular time in His Word, (I’ve just marked 7 years of not missing a day of Bible reading) worship and mission, hanging out with others who are pursuing Him and hearing testimony of Him at work. Have I finished my project? That’s what it has to be about right? And it becomes a more helpful general assessment rather than the potentially unrealistic goals of specific measurements. That being said, the answer this year is “no”! But there’s hope for a back injury to be rectified and to get back on track as we start the new year. Clearly some disciplines need to be put in place to make the goal of health and fitness achievable. Am I exploring new ministry opportunities? I want to keep growing all the time. I want to be maximising the giftings God has given me by increasing my skill and capacity to be ready to respond to all He asks me to do. This year I became a published author (eek) which opened some fun ministry doors for me. I stepped into a leadership role with a national Christian leadership development organisation. I did a radio interview! I was invited to minister interstate and across the state. I preached many times to thousands of people – youth, church communities, parents and leaders. Our church built a new facility which stretched us as a team into new thinking, planning and leadership. It’s been a full year. Am I open to “relationship”? Putting “get married” on my to-do list doesn’t really align with my higher value of just wanting what God wants more than anything my heart would desire. This question prompts me to be sure I’m being the best me, maximising my now-season, and being open to opportunities to meet new people and explore relationship should it present itself. The rest is up to Him! How are my relationships with family & friends? I want to be a good daughter, sister, Aunty and friend. I do this with varying degrees of success. Sometimes I manage to be much more available than others. I am determined to be fully present when I am there. I want more than anything for my family and friends to have me on their list of people of whose love they are assured. That will mean different things for different family and friends. Definitely a work in progress. Am I living life to the full? Sometimes days are hard – sometimes those days string together and there are hard seasons. When I can, with what I have, I want to live the best version of my life. I want to manage my finances to be a faithful tither and a generous giver. Travel when I can, eat good food, see good theatre and laugh …as much as I can …with as many people as I can. I don’t want to ever live on hold. I want to see new places and try new things. I don’t want the monotonous demands of “normal life” (the bins go out, the bills get paid, the clothes get washed etc) to spill out and make any other aspect of my life boring or ordinary. This year I’m taking tap dancing lessons!!!! 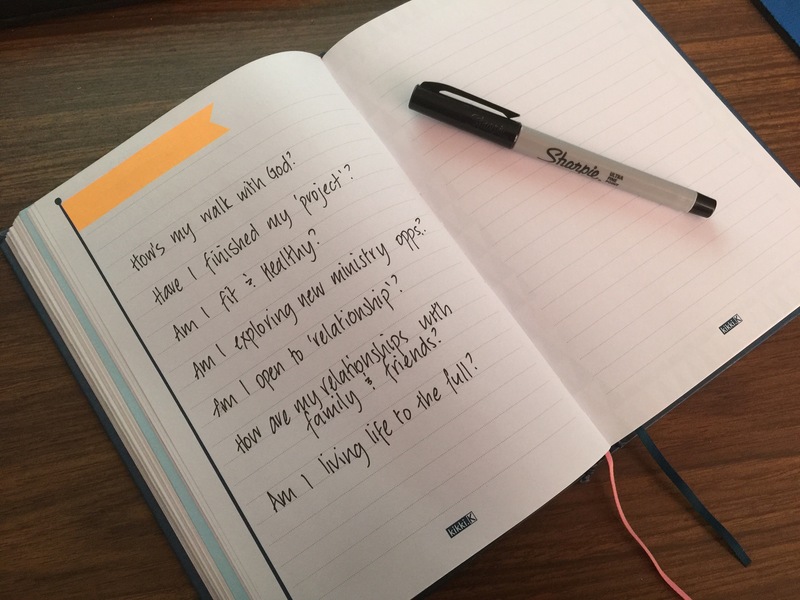 So “this year I will” look at these questions again and see what God has in store for each of these facets of my life. Buoyed by the belief that the best is still to come and in the highs and the lows God will be leading, providing and sustaining. When using this text as a guide for how to do relationships well, it is too easy to use those first four words as our escape clause … “if it is possible”.